High Resolution – IP cameras can provide 6 to 20 times higher resolution than analog cameras. The increase in resolution will allow you to cover a much larger area or get a more highly detailed image. 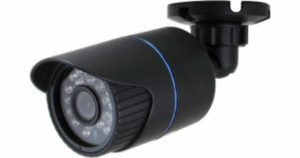 Scalability – Since IP cameras connect to the IT network, there is no limit to the number of cameras that can be connected. Ease of Installation – IP cameras connect easily to your existing data network. One cable per camera provides power, video and data. With power over Ethernet ( PoE) you don’t even need a power outlet in close proximity to your camera. Truly Digital – Unlike an analog video feed, the image from an IP camera won’t degrade in quality when transported long distances. One IP camera can provide many simultaneous streams for viewing or storing in multiple locations. Video Analytics – Built-in intelligence enables cameras to deliver vital data and increase surveillance efficiency. These analytics include motion detection, facial recognition, object taken, line crossing and more. For more details on how implementing IP-Based cameras may benefit your home or business, please call 800-733-4913.